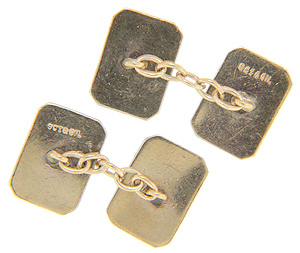 Crafted of 9K yellow gold, these antique cuff links are rectangular in shape. 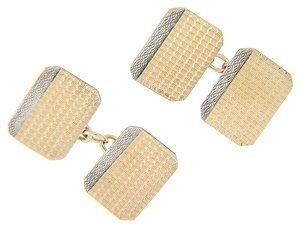 Featuring a grid type pattern each face of the cuff links has a white gold design down one edge. The art deco cuff links measure 5/8” by 7/16”. Circa: 1920.